When is the next Kerala Retreat for couples and individuals? ♥ Saturday 4th October to Tuesday 14th October 2014. 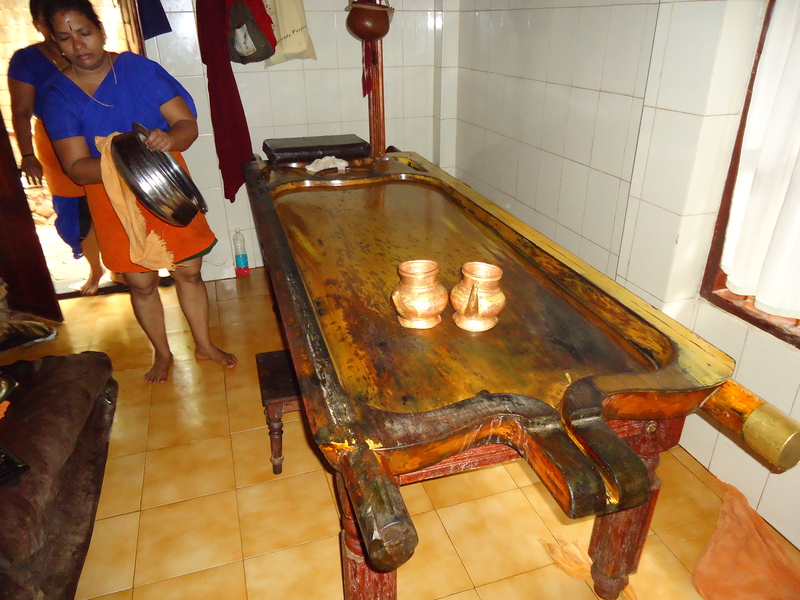 Where is it in Kerala India? ♥ The Resort is situated on the picturesque Malabar Coast in the southern Indian state of Kerala. The location is just 30 minutes or 21 kilometres from Trivandrum (Thiruvananthapuram) International Airport & is situated right on the seaside in the village of Chowara. ♥ We take care of transfers between the airport and the Resort. You will be met and picked up and taken to the Resort. ♥ Kerala is India’s southernmost state & is close to the equator and has tropical forests and a climate that is pleasant all year round. Do I have to be in a relationship if I want to attend? ♥ No, you don’t! This Retreat is open to individuals as well as couples. It is for anyone who wants to spend dedicated time being fully pampered, nurtured and rejuvenated while rediscovering and connecting to themself and others. 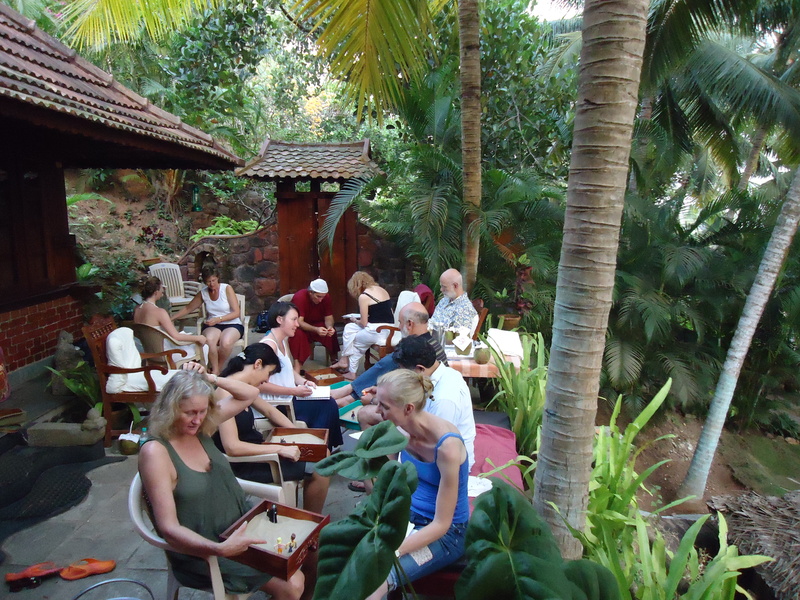 Often it can be a challenge to find the time to relax and connect to yourself, and if you are in a relationship to connect with each other….. and to just BE…..
♥ The Kerala Retreats are about CHANGE – it is about being able to fully immerse yourself in this healing environment without ALL your usual daily distractions. Like the best way to learn a new language is to immerse yourself fully in the environment where only that language is spoken. This is how we see this Kerala Retreat. 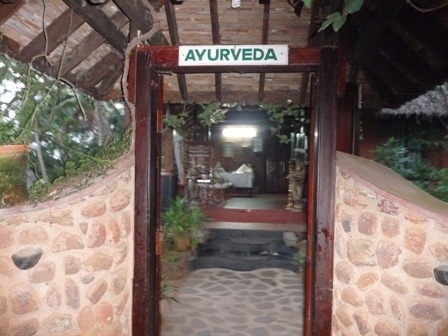 ♥ All Ayurvedic gourmet vegetarian meals are included. Your personalised menu is tailored to your personal body type for maximum detox, rejuvenation & revitalising benefits. 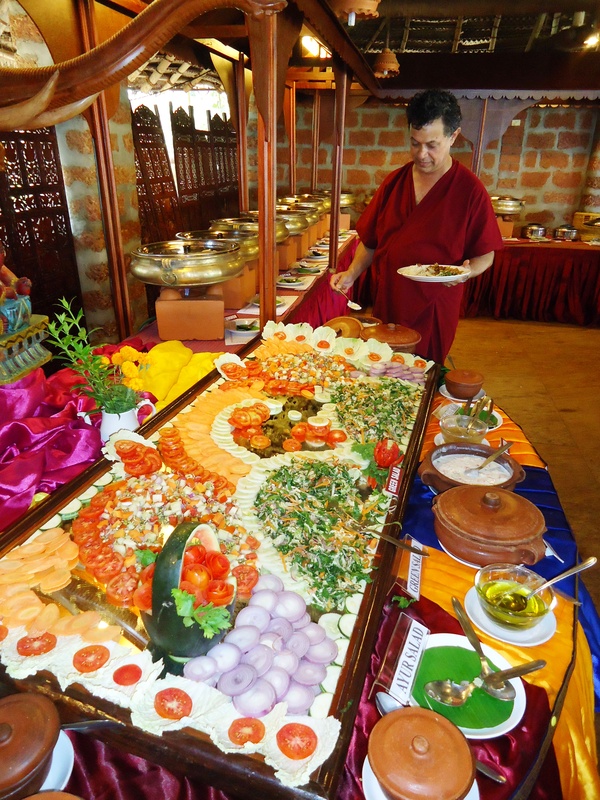 You can either eat from the extensive Buffet or order from the menu. What is available to do each day? ♥ Two hour daily Group Session with Susie and Shelton to process, to deepen communication skills and to learn and practice how to relax and de-stress using various techniques to create lasting changes in your life. Is there space to do yoga on your own? 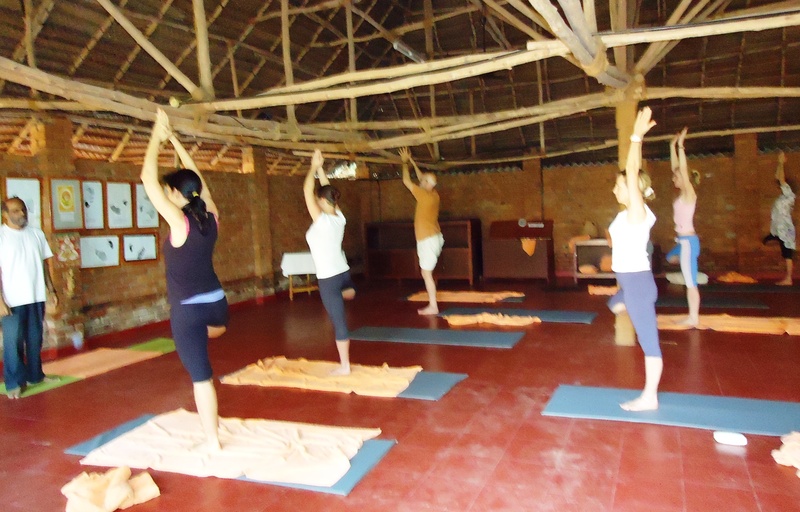 ♥ There is space for yoga in your own cottage, on the extensive lawn areas or using the yoga hall when it is not being used. ♥10 nights accommodation in delightful individual cottages set in secluded tropical gardens, with a choice of 2 categories – Standard or Special. The SPECIAL cottages are larger and have more of a scenic outlook – either onto the beach or garden. The STANDARD cottages have smaller gardens, not as private (as in people can walk pass), and have little or no view. BOTH have en suite bathrooms, twin beds or double, and outside table & chairs, day bed or hammock. * NOTE: These are 2013 prices. 2014 will be confirmed and added soon. It is very special for us to be able to offer you a PACKAGE that includes our personal growth and relationship healing work together with Ayurvedic healing in such a nurturing and relaxing environment. If you book independently there is no guarantee that you will be situated near us and you will not have access to the full package of treatments, food, drink, etc and you could miss out on the work that happens simply from spending time with others. What will it be like attending the Retreat? ♥ Individual Consultation on arrival with your Ayurvedic Practitioner to guide and monitor your personalised rejuvenation and healing program & daily consultation thereafter. Here is a description of Ayurveda. What have other people said about previous retreats? “It was a life changing experience. Great fun!!! !” Eileen. “The treatments in particular were just an “out of this world” experience. Yes….I finally learnt how to relax! 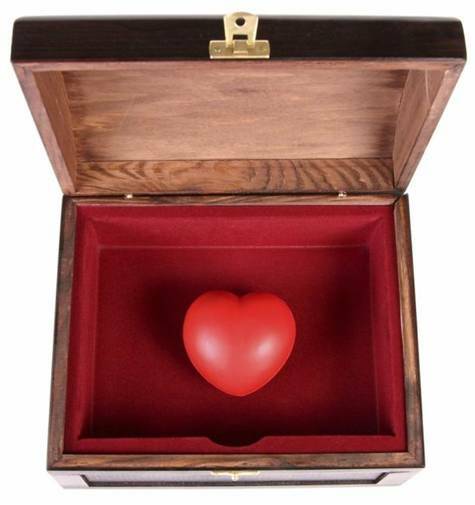 Christa K.
“We were having difficulties with our relationship – communication & intimacy (sexual & non-sexual/physical & non-physical) and were considering breaking up. We did the Couples weekend workshop with Susie & Shelton which was a fabulous initiation to Imago as they give such real, practical, very well-informed, insightful and personally modelled guidance but we had slipped back to old patterns. We found the combination of the Imago work with Susie & Shelton for 2 hours each day and the wonderful treatments (Ayurvedic potions and massages), daily meditation & yoga, simply superb cuisine, wonderful setting and very warm & friendly service, made for not just a rejuvenating break but a serious endeavour on our relationship that we otherwise struggle to make. If you’re looking to improve or rescue your relationships then this trip away to Kerala with Susie & Shelton is a highly recommended way to go!” Jennie and David. I have some more questions – how can I contact you to ask them?